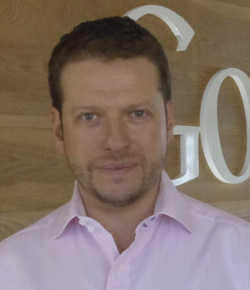 Pedro Less Andrade started Google’s public policy work in Latin America in 2007. Since then, he has been involved in the legislative and regulatory process of internet related issues, national digital agendas and regional broadband strategies across Latin America. He is currently the Vice President of the Latin American Internet Association (ALAI) and has also served as Vice President of Public Policy of the Latin American & Caribbean Federation of Internet and E-commerce (eCOM-LAC), board member and head of the regulatory commission of Argentina’s Internet Industry Chamber (CABASE), and member of legislative commission of the Argentinean E-commerce Chamber (CACE). Mr. Andrade has been a law professor at the Law School of the University of Buenos Aires and academic coordinator of the Technology & Justice Program of the International Judicial Academy and is faculty member of the South School of Internet Governance (SSIG) and invited professor and lecturer at several Latin American universities. Mr. Andrade is a lawyer from University of Buenos Aires. He holds a Master's degree (LL.M) from the University of Georgia and has pursued postgraduate studies in the Legal Framework of the Multilateral Trading System of the WTO.